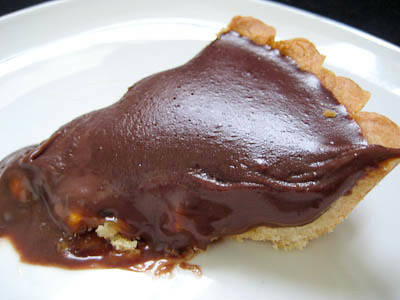 This week's Tuesdays with Dorie (TWD) recipe was chosen by Carla of Chocolate Moosey: Chocolate-Crunched Caramel Tart. 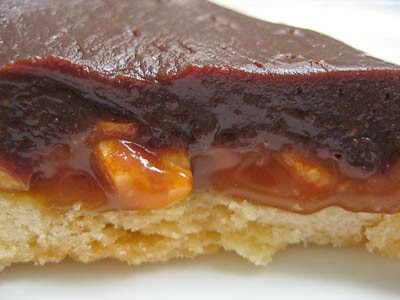 Sweet tart dough, topped with caramel, honey roasted peanuts, and then a layer of chocolate ganache? What's not to love? I did have some trouble with the ganache and caramel layer setting. I think some bakers over cooked the caramel and ended up with a brittle, crunchy layer. I seemed to have the opposite problem of a caramel layer that was too soft. I had a candy thermometer and cooked the caramel exactly as indicated, but it didn't really want to set after 30 minutes in the refrigerator. The ganache did not end up setting very well either. 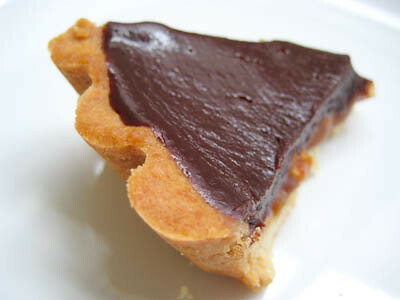 Here is what a slice of this tart looked like after several hours in the refrigerator... it oozed everywhere! After refrigerating it overnight, it looked much better. Dorie warns not to refrigerate it longer but I found that it would get too runny at room temperature. Not sure if that was because I did something wrong, but the tart tasted just great after being in the refrigerator overnight (despite Dorie's warnings not to refrigerate it for too long). Thanks Carla, for picking this recipe. This dessert reminded me of a fancy version of a snickers bar, minus the nougat :) It was simple and I loved every last bite of it. If you would like the recipe, you can find it here. Make sure you check out the TWD Blogroll, to see how everyone else enjoyed this chocolatey, caramel-y treat. - You may have better luck than me, but if you don't, make sure you refrigerate this overnight before serving, and keep it in the refrigerator until you are ready to serve. Maybe she must have warned against doing so because of the caramel? For people for whom it set up well, maybe the refrigeration would spoil it, by becoming soggy or something? I'm just thinking. Anyway, the tart sure sounds great. I've had many such desserts that get screwed up and dont look great, but still tasted Ah-ma-zing!!! Doesn't look like you had any trouble - looks like you simply made a PERFECT tart!! Divine. Your first two pictures are gorgeous! My tart firmed up okay in the fridge and hubby keeps house cold enough that it stayed firm out of the fridge. :) See you also SMS. Me too! oh my! that looks heavenly! Btw, Glad to hear you (& baby) are doing well! 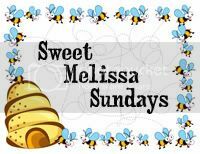 I should seriously try and avoid these kind of posts....I am on a bit of a detox.......looking can't hurt right?..........pass the slab of chocolate please!!!! I like it ooey gooey. It looks very delicious. Refridgeration sure did the trick because it looks very tastey. 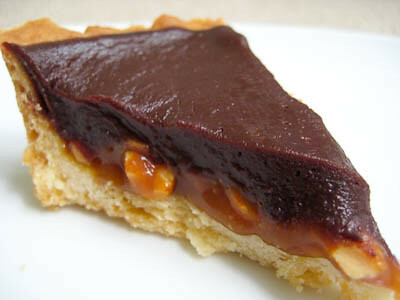 The caramel looks perfect and the ganache looks delicious. And that is what counts. Your tart looks good, and yes every last bite. Took mine to the gym for the gym rats to eat. he he Seriously! They like sugary treats too. I think your caramel looks good and I don't know why your ganache was unsettled. Maybe it was broken sometimes when the chocolate gets too hot it breaks. Do you know? Either way, its luscious! That looks delicious, even if it was softer than you wanted. I didn't have any trouble with my caramel or ganache, but I let both of them sit at room temp for most of the day before I assembled the tart. They were both pretty thick when I put the whole thing together.